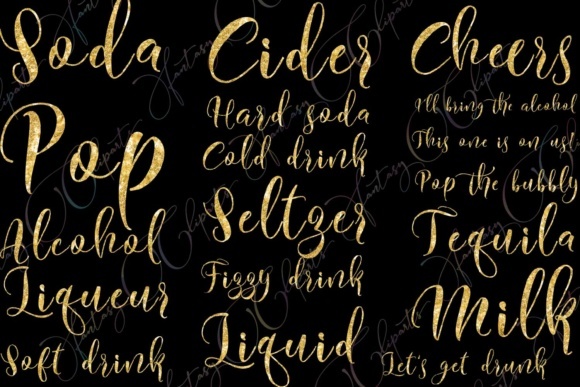 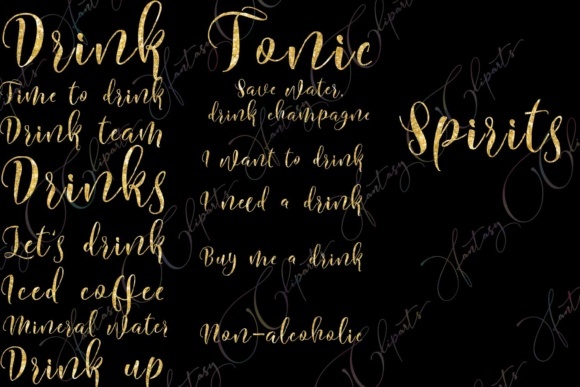 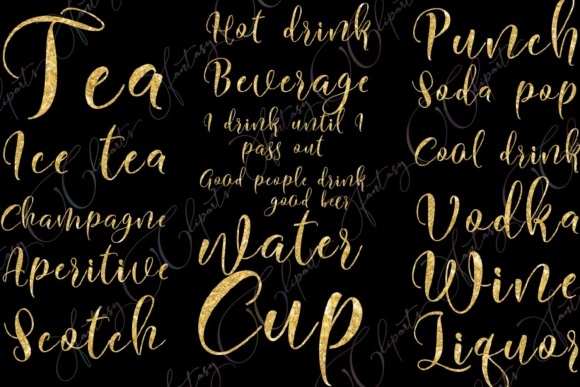 Drink word art made from nice script font. 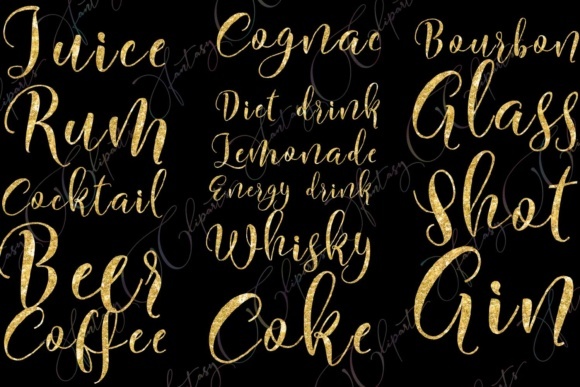 Color is gold glitter. 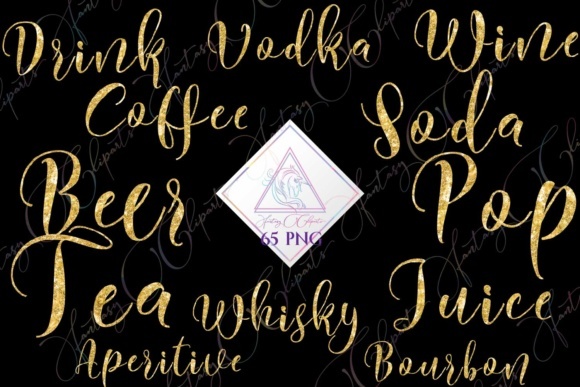 There are 65 png files in this set.